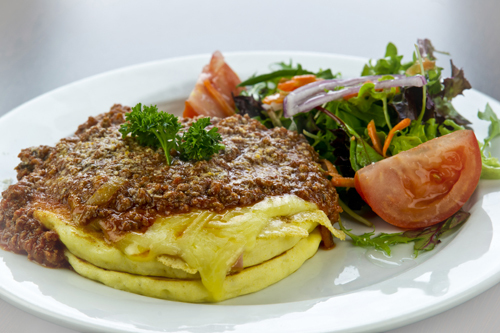 Stacks Pancake Bar Karingal - Popular family restaurant | Tasty pancakes ! LEMON SUGAR – Sweet and tangy. STRAWBERRY JAM – Another old fashioned favourite. CARAMEL CRUNCH – Topped with crunchy almonds. HOT CHOCOLATE FUDGE – Our home-made hot chocolate fudge. DEATH BY CHOCOLATE – Chocolate lovers delight. Topped with chocolate ice-cream and hot chocolate fudge. Unfortunately due to a supply issue, we cannot offer Gluten free at the moment. We apologise for any inconvenience. Shredded potato in a pancake topped with tasty cheese, cooked to a crispy golden crust, served with whipped butter or sour cream. 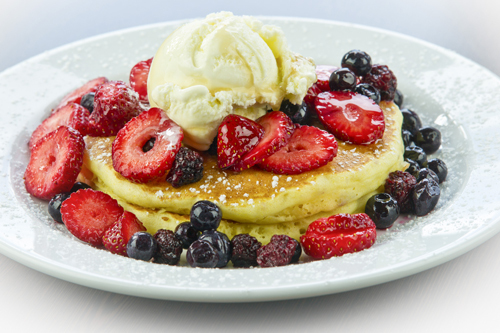 Popular Family Restaurant - Come in and Indulge on some Tasty Pancakes and an Ice-Cream Sundae or Milkshake !